Singletrack 6 was off to a more mellow roll out then usual with an unexpected train crossing. This allowed some jokes to be cracked and a final bladder drain for many. This was the longest stage in distance, but maybe not time with some rougher days coming up. Moonrakers was fast, dusty, flowly, rough, and beautiful. Gold Rush was used for the timed descent of this stage. 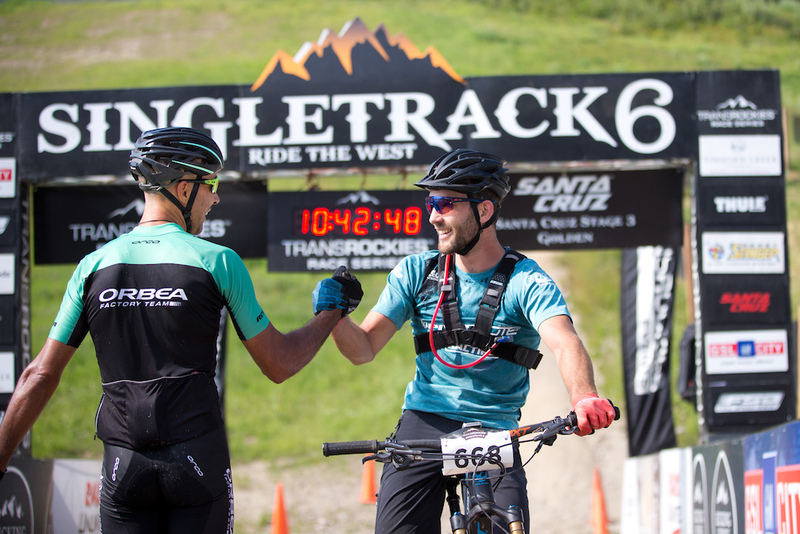 It's wonderful when one trail can be used for an Enduro race (2017 Trans BC Enduro) and a cross-country stage race. Out for a morning spin with quite a few great folks. Cole House seemed to let the suffering slide and enjoy the views with style. We were told that mid-race swims were encouraged. I wonder how many people enjoyed this lake? 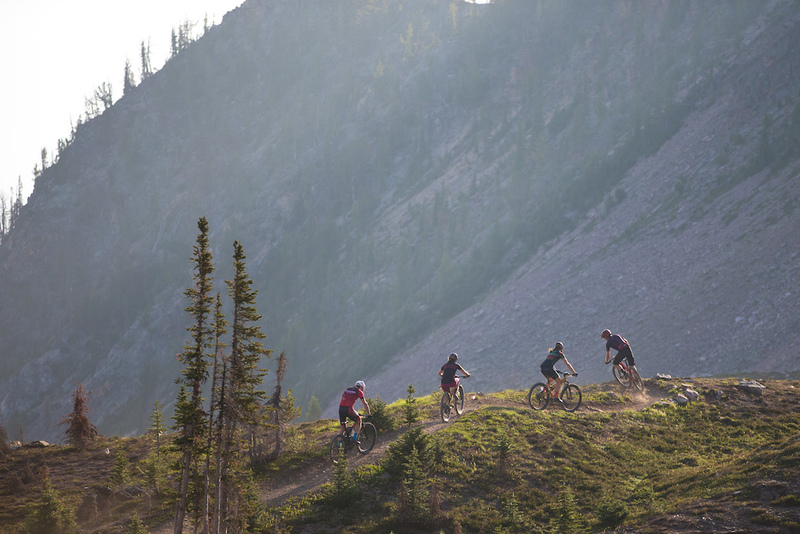 Mountain Shadows has an incredible network with trails 20+ years old, volunteer built, and new, crew-built trails. We were treated to a mixture of terrain and I want to give a big thanks to everyone in Golden for making this event happen. We were all excited and honoured to be there. This network hosts the Golden 24 hour race and has a rich history in racing. 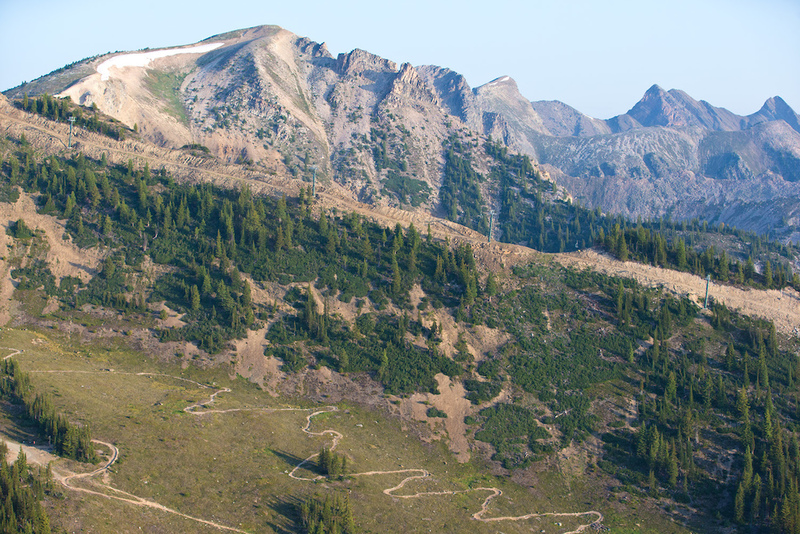 The trail used for the timed descent was called 5k and it's at the bottom of Mt 7 - which for those who don't know is an iconic mountain used for the Mt 7 Psychosis DH race. It was one of the toughest DH races in the world. We took some little death weapon XC bikes, skinny tires, and even a few high posts (for those unfortunate ones), and it made for a party of a descent. The two fastest riders on stage 2. Here Tomi Misser leads Alex McGuiness. I have been looking forward to this year's ST6 since the final day of 2017's event. 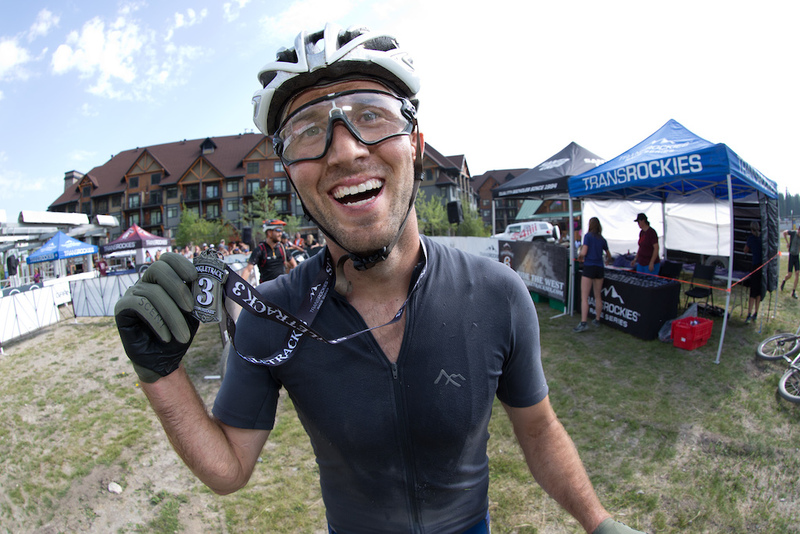 The Transrockies crew is absolutely amazing, they put on top-notch events! I am super stoked for these first 3 days to have been hosted by the town of Golden. I know some of their incredible trails from riding for fun here last year, but it was even more awesome to ride old and new terrain at race speed. 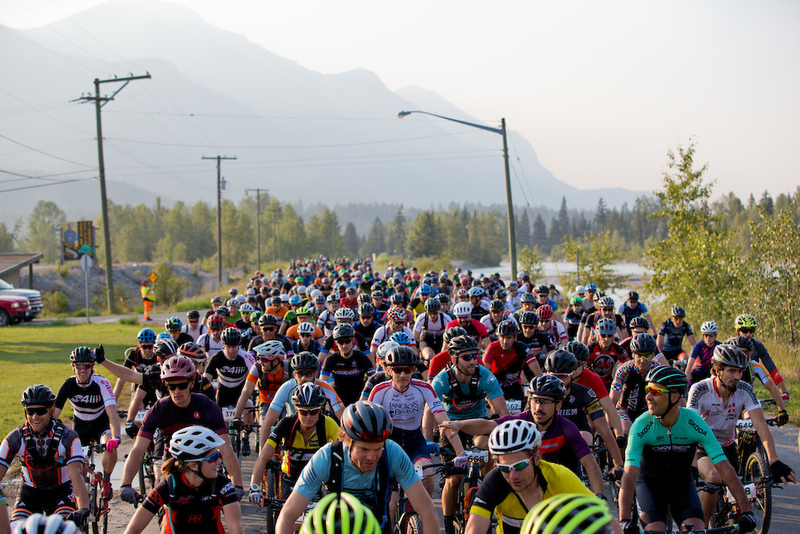 I am really excited for Revelstoke's course as tomorrow's day 4, not only because it suites my strengths as a rider, but more so because it is insanely fun! 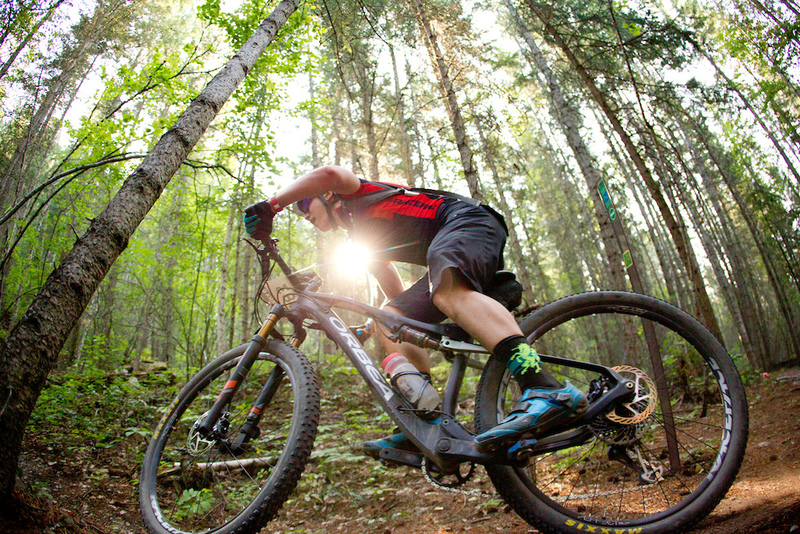 Elyse Nieuwold - Canadian Marathon Champion from Pendrel Racing - is committing to the BC stage race style with baggies . 6:30 am we boarded the Gondola and got to the summit around 7. Watching the sun come over the mountains from this alpine location was just what I dream of for a bike race. Let's take a quick stop so you realize that the net descent was 2200 meters today and the climbing only totalled 1300 meters. That means fun, especially when it involves lift access. There's a little alpine network at the top of the mountain that we were sent around before dropping into the timed descent for nearly 7km to the resort. From there it was more descending back into the Moonraker network, where we were put on different trails from day one. The trails were rugged, it was great. 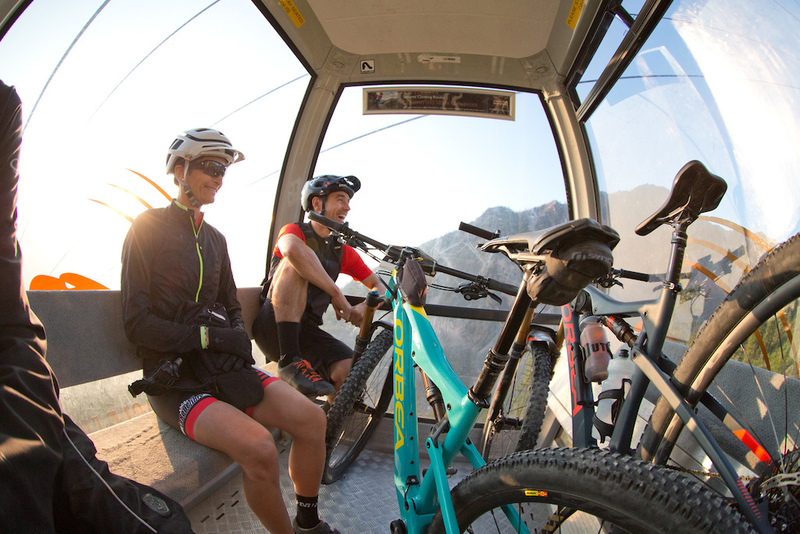 Starting an XC race day with a gondola is never a bad idea. The alpine at Kicking Horse was breathtaking, literally. Finishing one of these stages is a feat in itself. The best part of these races is sharing it with others. 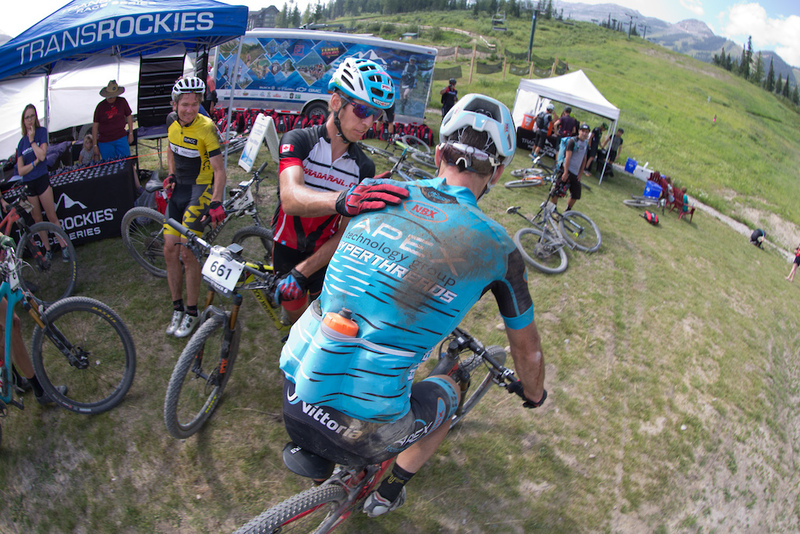 The Santa Cruz boys are not only slaying the days' stages but also the timed descents. Some good days, some bad days. At this event you can always count on everyone looking out for each other. On today's stage I was in a group of three and we blew turns, waited, then called out features on the trails, and when one rider broke his chain, two us left our chainbreakers for him. There's no bad karma here unless you're trying to be an a*shole. Thank you Tomi for a great day of playing bikes. Nicolas Cambus takes the Open Men ST 3-day event and Sheri Foster takes the Open Women's category. Carey Mark is currently leading the Women's 40+ at the halfway mark, while Tomi Misser is not only leading the 40+ men but the entire race itself. There had been some major change ups in the GC today after a demanding stage that took its toll on bikes and racers. Geoff Clark just moved into the Men's 50+ lead after Mimmo Futia slipped back. The Open Women's race had a new stage winner with Rebecca Beaumont but Jena Greaser still holds the overall. The Open Men had a big change up as the top 2 riders had mechanicals today and unfortunately that played to my move into GC lead. 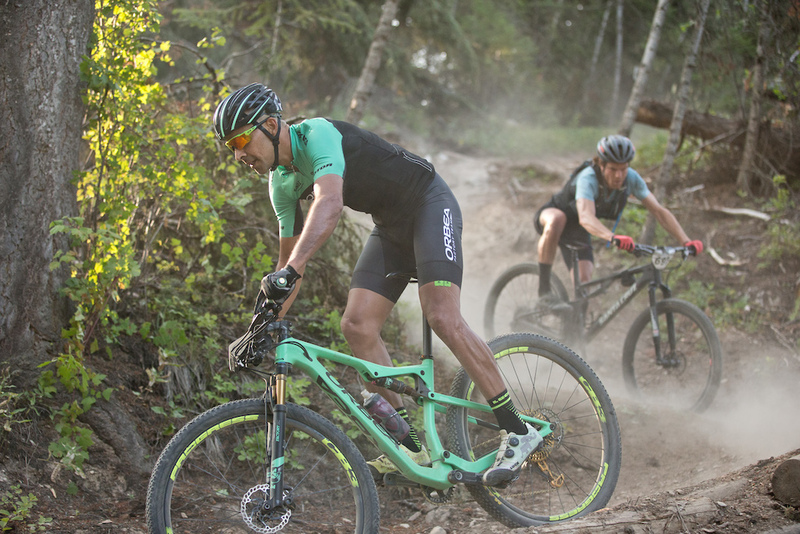 Canyon R&D leads the 80+ team, Santa Cruz Bicycles leads the Open Men team, Farting Rainbows (great name) leads the Open Women's team, and Orbea Oiz leads the mixed team category. ST6 is always an event that I am looking for each and every year. It's my fourth time racing this event and it is always getting better and better. 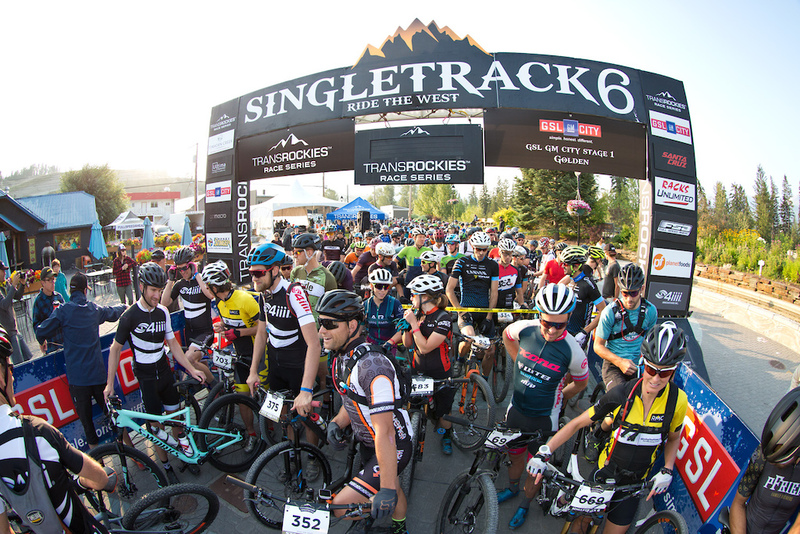 The singletracks are fast and flowy so far and the field is deeper than ever. Can't wait for the last 3 stages. 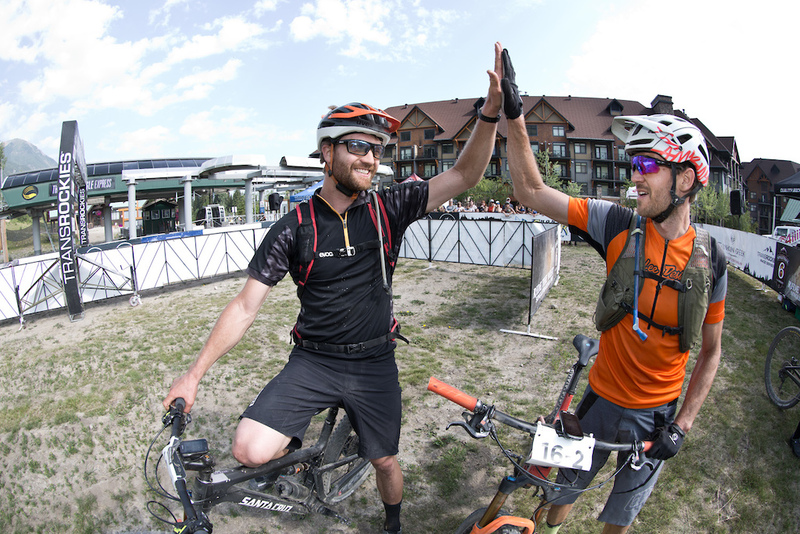 Today marked the halfway point where the 3-day competitors get to head home while the 6-day riders continue. 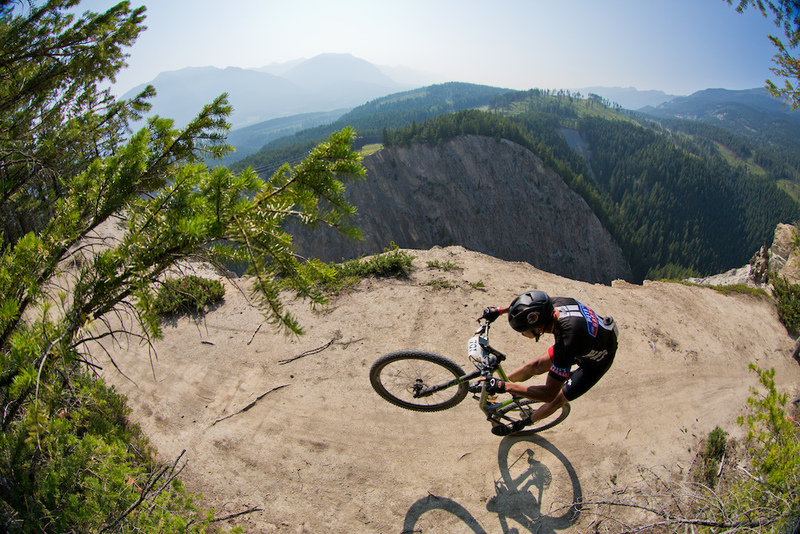 Coming up: Revelstoke, Vernon, and Silver Star Mountain Resort.